Click here for latest edition of newsletter Sustainability + Steel. 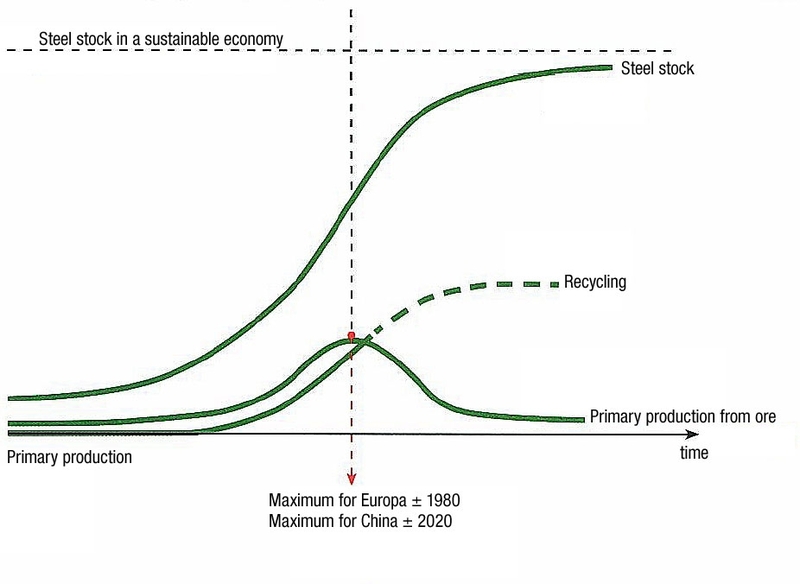 There are basically two routes for the production of steel. In the Blast Furnace route (BF) pig iron is extracted from iron ore using coke. Slag and blast furnace gas are formed in the blast furnace. The slag is used for paving and ballast in civil engineering works and the gas for generating electricity. 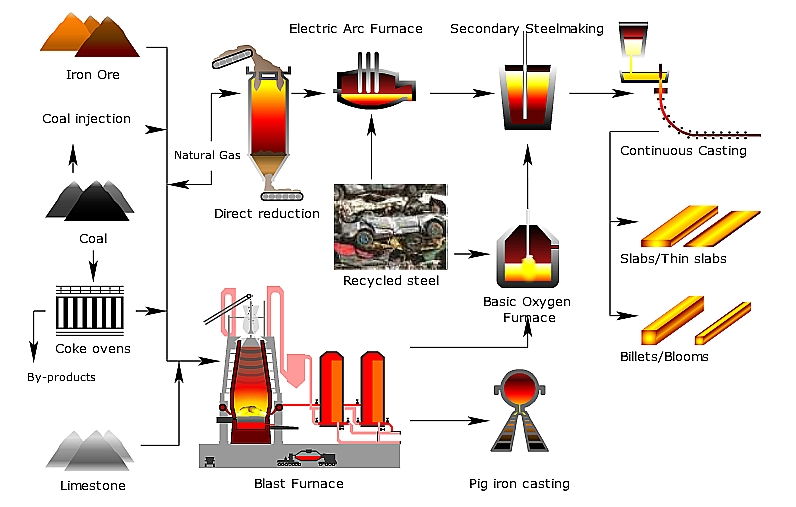 The iron from the blast furnace is then further refined and converted to steel in the basic oxygen furnace (BOF). Depending on the plant, 20-30% of scrap is added to this process, primarily to regulate the temperature. In the Electric Arc Furnace route (EAF) 100% scrap used. This is the remelting of steel without the use of primary raw materials. Only oxygen and lime are added to bind any impurities. Galvanized steel scrap can also be processed in the electric arc furnace. The zinc is recovered and used in the production of new zinc. In principle all steel can be produced using the EAF route. At present however there is still not sufficient scrap available to fully meet the demand for steel. Of all the steel used in Europe, an average of 50% is produced using the EAF route. This percentage varies by specific product. 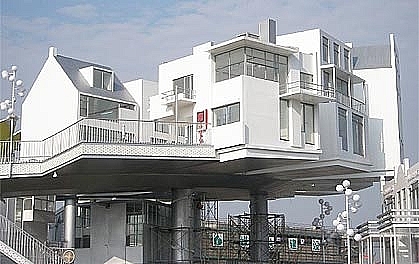 The structural steel used for beams and pipes in the Netherlands is now almost exclusively produced using the EAF route. There is also a shift from production via the Blast Furnace to the Electric Arc Furnace in other parts of Europe, as increasing amounts of scrap are returned to the steel industry. So in Europe BF and EAF currently have an equal share of the market, and in China this stage is expected to be reached by 2020.